Growing up I was always a creative thinker. I even remember sewing two pieces of random fabric together as entertainment. Not all ideas just come to me though. A lot of the time I can go a while without having any ideas I feel are good enough to make. That’s when I use these tips to get my creative juices flowing. They’ve helped me immensely in the past and will definitely help me in the future. 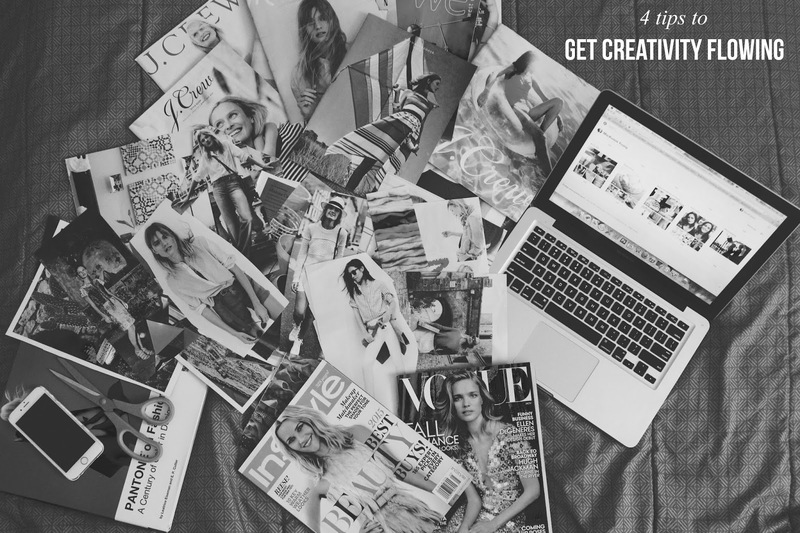 Pinterest is my best friend, not only do I share my blog posts on there, I also search through there for inspiration or even projects to recreate. Surprisingly I sometimes create projects that don’t make it to the blog and that’s because I didn’t actually create the idea. Home Decor and Women’s Fashion are my favorite categories to peruse on Pinterest. I believe that the space you’re in greatly influenced your creativity. I definitely can’t think in a crowded, loud area. I love to be outdoors when I’m brainstorming or even in a cozy space at home. I’ve made plenty of these in the past for school and also just for fun. It helps to visualize ideas and inspiration. Cut out inspiring photos from magazines or print them off the computer. Sometimes the best place to look for inspiration is around you. I absolutely love going on road trips to no where. Driving around or even walking around you can find some inspiring places or even discover some great spots. I do this a lot to look for great places to take outfit photos.